The service men and women of the coalition forces in the Middle East and Afghanistan require cutting tools that can stand up to the harsh demands of the desert. CRKT's Carson Desert Tactical Folders have been developed specifically to blend into the desert environment. The service men and women of the coalition forces in the Middle East and Afghanistan require cutting tools that can stand up to the harsh demands of the desert. 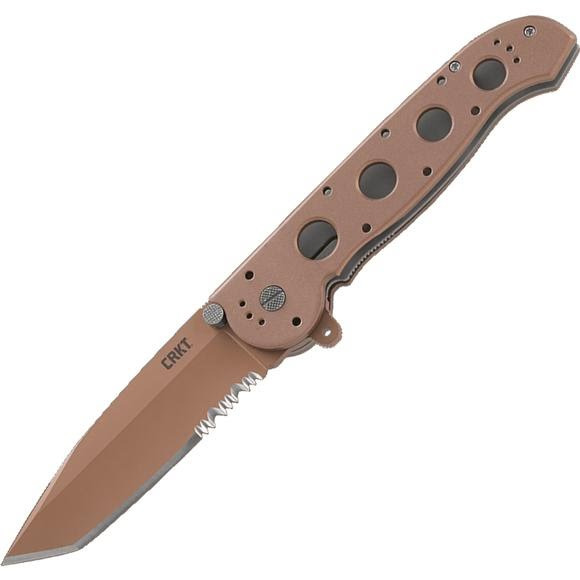 CRKT &apos;s Carson Desert Tactical Folders have been developed specifically to blend into the desert environment.